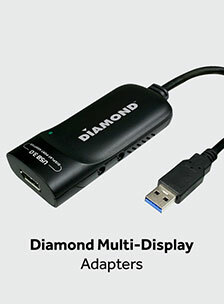 The Diamond UE3000 USB3.0 Gigabit Ethernet adapter, is a high performance and simple plug-and-play Gigabit Ethernet network adapter for desktops, notebook PC’s, Ultrabook’s®, docking stations, game consoles, digital-home appliances, and any embedded system using a standard USB port. 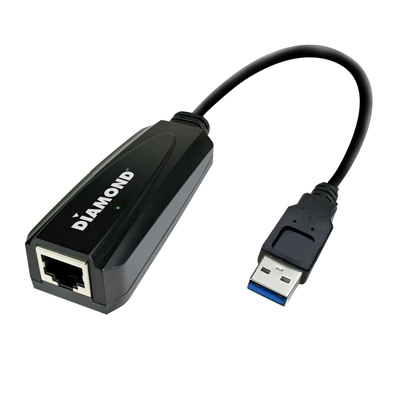 The Diamond UE3000 USB3.0 Gigabit Ethernet adapter offers a wide array of features including IPv4/IPv6 checksum offload engine, crossover detection and auto-correction, TCP large send offload and IEEE802.3az EEE (Energy Efficient Ethernet) that allows the device to enter a low power idle state to reduce power and to achieve a more energy efficient Ethernet adapter. 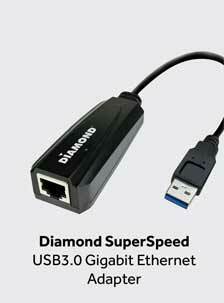 It supports dynamic cable length detection and dynamic power adjustment Green Ethernet in Gigabit mode. 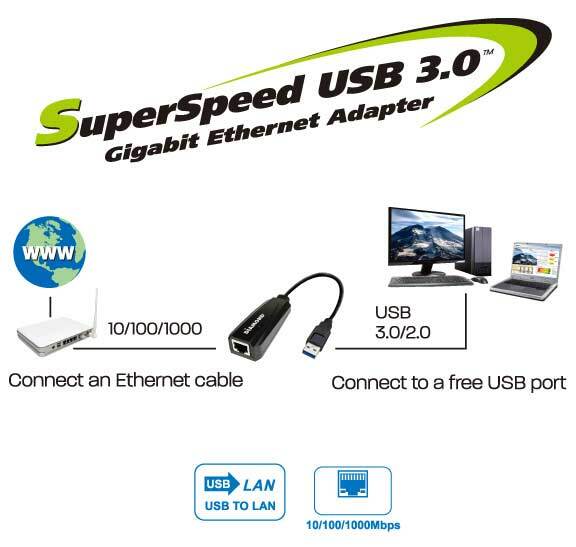 Compliant with USB3.0 , USB 2.0 specifications. 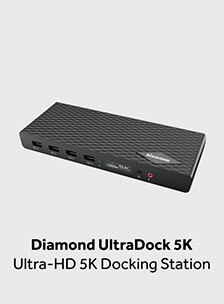 Supports all USB 3.0 power saving modes (U0, U1, U2, and U3). 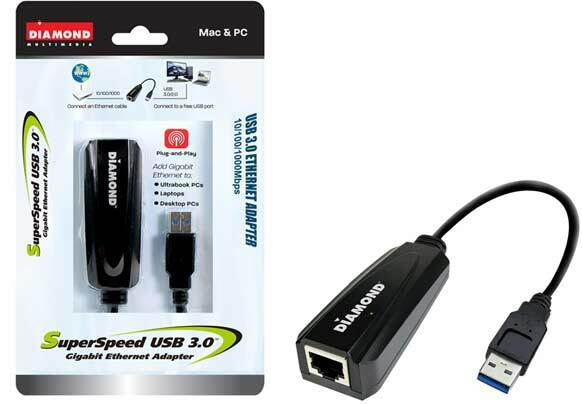 Supports IEEE 802.3az (Energy Efficient Ethernet). 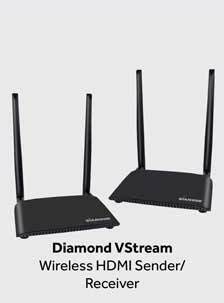 IEEE 802.3, 802.3u and 802.3ab compatible. 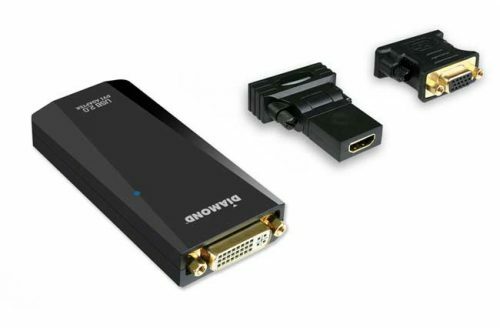 Supports dynamic cable length detection and dynamic power adjustment Green Ethernet (Gigabit mode only). IP/TCP/UDP/ICMP/IGMP & IPv6 TCP/UDP/ICMPv6 checksum check & generation. Supports full duplex operation with IEEE 802.3x flow control and half duplex operation with back-pressure flow control. 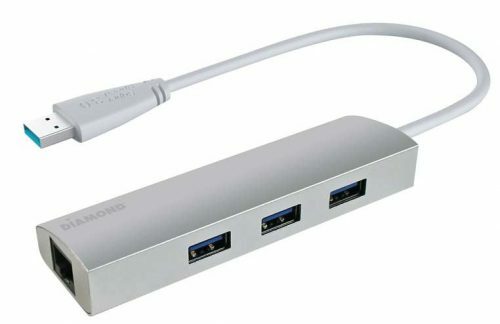 The ASUS USB 2.0 10/100 adapter averaged 77Mbps read and 93Mbps write, which gets you on the network and that is about it. 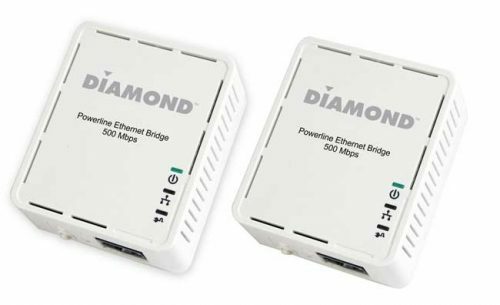 The Diamond Multimedia USB 3.0 to 10/100/1000 Gigabit Ethernet LAN Network Adapter (UE3000) averaged 642Mbps read and 757Mbps write. This is nearly a 9x improvement on the read speed and an 8x improvement on the write speeds! This is a huge performance gain and was had for just$29.99 shipped.